There are literally hundreds of touring bikes available these days, which is both wonderful for consumers but often quite confusing. I want to make that process easy for you, so I’ve pieced together a beautiful book that will save you so much time and money. 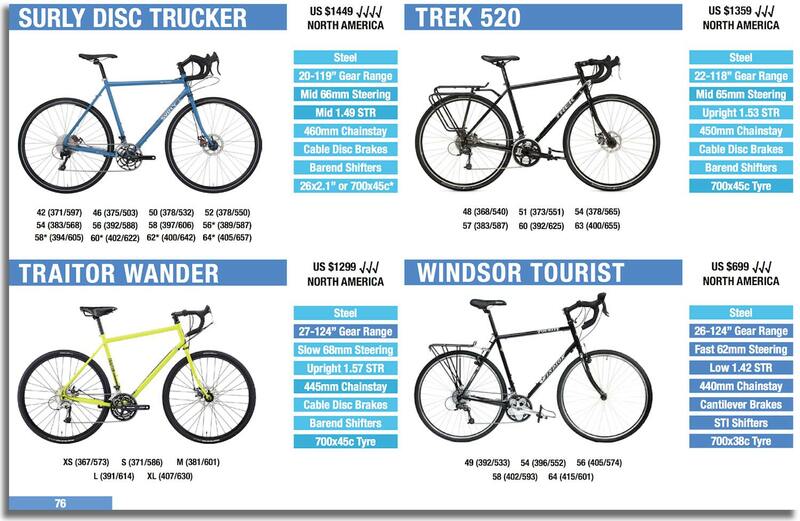 This book will help narrow down the best touring bike for your purposes. After reading this book you’ll be able to make an informed decision that will result in the highest performing, best fitting, longest lasting and most comfortable touring bike possible. The best part – free yearly updates, meaning this book will never go out of date! I’ve been researching, testing and writing about touring bikes for years. There is nothing I am more passionate about. The Touring Bicycle Buyer’s Guide is an overview of all of my knowledge condensed into a simple and easy to read book. With this guide, I’m offering 50% off my book which details how to go bicycle touring. Bicycle Touring in One Hour teaches you the dos and don’ts of bike travel, and will provide you with the confidence to get it right the first time. Get it for just $5 right now!! WHAT’S INSIDE THIS BUYER’S GUIDE? 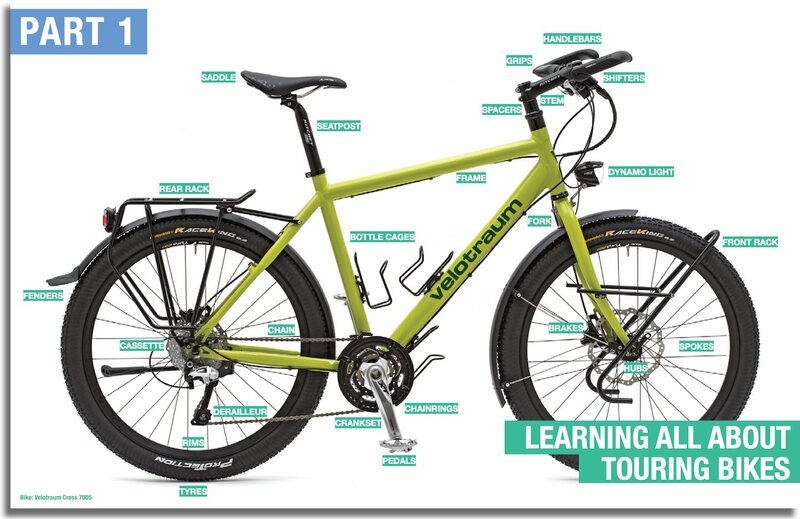 23 subject areas are waiting, including information about the key touring bike characteristics, how to narrow down the best bikes for you, how to compare touring bikes, and how to get the right size touring bike without ever testing it. I’ve created chapter summaries to help you remember the key information. All City, Aventon, Bergamont, Bianchi, Bombtrack, Bottcher, Breezer, Brodie, Brother Cycles, Cannondale, Chumba, Cinelli, Co-Motion, Co-Op Cycles, Cube, Dawes, Devinci, Diamondback, Fairdale, Fuji, Fyxation, Genesis, Giant, Id Worx, Jamis, KHS, Koga, Kona, Marin, Masi, Maxx, MEC, Merida, Motobecane, Nashbar, Niner, Norco, Pelego, Polygon, Pure Cycles, Raleigh, Rawland, Ribble, Ridgeback, Rose, Salsa, Santos, Shand, Sonder, SPA Cycles, Specialized, Stanforth, Stevens, Surly, Tout Terrain, Traitor, Trek, Tumbleweed, Van Nicholas, Velotraum, Vivente, VSF and Windsor. 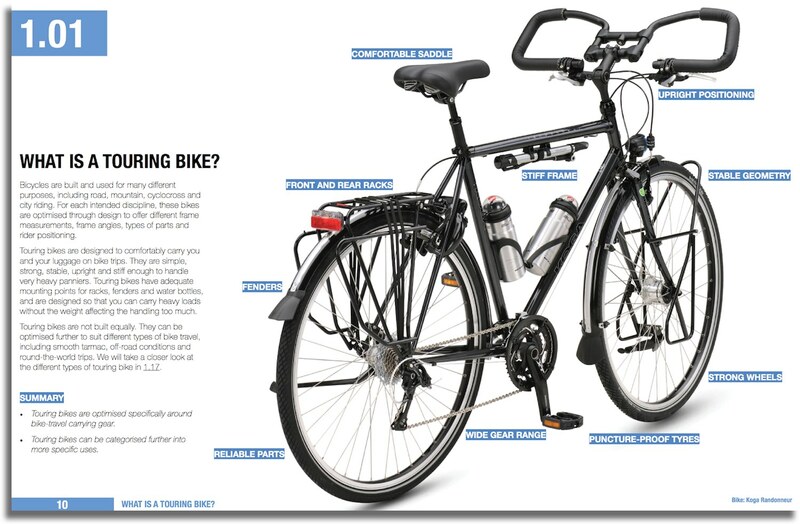 The Touring Bicycle Buyer’s Guide is a digital download. Save the interactive PDF to your computer and open in full screen for best viewing. I don’t print this book because of the need for this guide to be current. You will pay securely with Paypal or a credit card (I’ve purchased the most secure SSL certificates), and then get an email link to the most current version. THE LATEST BIKES ARE ALMOST OUT, SHOULD I WAIT TO BUY THIS BOOK? There is no need to wait. This book is updated yearly for free after manufacturers have confirmed their latest sizing, specification and colours. You will be notified of the 2020 update and be able to download it at no charge. Your purchase is effectively a lifetime free subscription! I ALREADY HAVE A TOURING BIKE. WILL THIS BOOK STILL HELP ME? Absolutely. Bikes and technology are constantly evolving, and this book will keep you on top of the latest and greatest in bike touring. WHY IS THIS BOOK A GREAT WAY TO LEARN ABOUT TOURING BIKES? This book is solely designed to help you make an informed decision about your next touring bike. It is the only bicycle book that offers a true comparison for sizing, steering, gear ratios, frame materials, tyre clearance and more. I offer 50% off my book on how to go bicycle touring with this guide. It teaches you the dos and don’ts of bike travel, and will provide you with the confidence to get it right the first time. Get it for just $5 right now!